What about you, did you already pick yours? Non li ho presi sai perché? A me stanno male! Non sai quanto mi spiace perché li trovo bellissimi! Che splendida selezione, pazzeschi quelli con le rose! 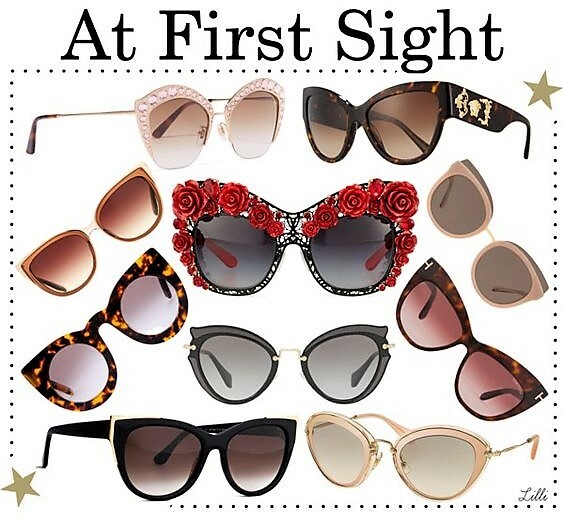 Lilli, I agree cat eye sunglasses are universally flattering and so classic and glam at the same time. You rounded up some pretty fabulous styles here. I love the top left pair with the crystal embellishments. Happy new week babe! Ah great selection dear Lilli. For long time i´m lookgin for some cat eye sunglasses. But was not sure, if these glasses are for my face. I think i have a no-sunglasses-face. But you are right, cat eyes sunnies are always timeless. May i should give it a try. I especially like the Miu Miu one. This style of saddle I like a lot! It is a sophisticated design and is always in force during the summer season. Happy start of week Lilli! Bellissimi, quelle con le rose stupendi! Cat's eye is perfect and so stylish for summer especially on the beach.